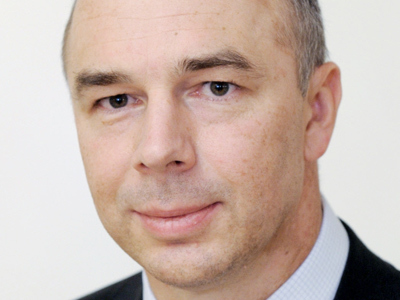 The 48 year old Siluanov has been a Finance Ministry player for 25 years which will mean he will be familiar with the workings of the Ministry he now heads. 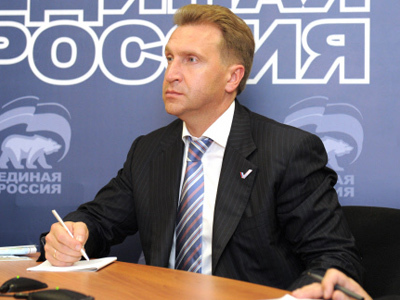 With First Deputy Prime Minister Igor Shuvalov, assuming responsibility for fiscal policies, there will be an element of left hand and right hand needing to make sure they are working as one in the face of an external environment which is deteriorating. The very first thing on the agenda is working out how to steer the Russian economy past the fallout of the Eurozone imbroglio.Despite yesterday’s market response to the idea that some sort of grand plan would be unveiled sometime soon, there is still very little ground for confidence that either the EFSF will be enlarged, or that there will be some form of Fiscal transfer envisaged.The German and Spanish Finance Ministers, the Finnish and Dutch Prime Ministers, the Bundesbank head, the head of the German Constitutional Court, and Chancellor Merkel’s coalition partners have reemphasized their rejection of an enlarged EFSF this week or last. Ceding fiscal policy also appears to be akin to holding an electoral gun to any government mulling it.That leaves the impasse continuing, with the attendant risk that someone somewhere, with Greece at the front of the queue, could do something to trigger a disorderly default.The implications for the Eurozone, if not the global, banking system are nothing short enormous. Across the Atlantic the housing data has added to the gloom surrounding the economic outlook, with Nouriel Roubini, among others, suggesting that the U.S. and EU are possibly already in recession. For Russia the key issues are the capital outflow, with capital moving towards a risk averse stance, and the global currency volatility.A society natural inclined to shift currencies the moment things look risky – and indeed encouraged to do so during the great managed devaluation of late 2008 – means Russians and Russian companies are looking to make sure they have cash available, and are looking to have that cash in the least volatile form possible, which currently means U.S. dollars.That is having two key effects – the rouble is down about 15% since the start of August and local liquidity has tightened significantly.The first has great potential to aggravate Russia’s traditional inflationary problems, and the second threatens a curtailment of the credit expansion, investment, and consumer spending which has helped underpin the rebound from the last recession. 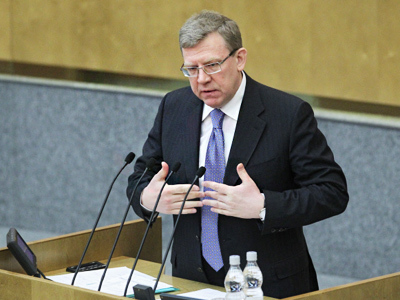 The Central Bank has already expanded the trading bandwidth of the Rouble and emphasised that it will continue to do so as it spends fiscal reserves to keep the Russian currency within the bandwidth.The next step will be a refinancing rate reduction.The upside, insofar as there is one for Russia, is that corporate Russia has learned the external debt lesson of 2008 and has significantly restructured to extend maturity, and the risk of a wave of external debt redemptions, further hammering the rouble and domestic spending, is much less than it was 3 years ago.The managed devaluation of 2008, orchestrated by the Central Bank, certainly addressed a political imperative to help shield the Russian public from the worst immediate impact of the meltdown, but its longer term effect was to create a one way bet against the Russian currency which last for 3 months, deterring investment which would help provide an economic recovery.The political leadership, as well as the Central Bank, will be hoping to avoid that long lead lag on recovery this time around. That brings in the political element.Politicians around the world are inclined to spend when looking to get elected.In Russia, with Duma and Presidential elections coming up in the next 6 months, they will be more inclined to do so if the economy looks like weakening.It is here that Russia’s position is not as upbeat as it was in 2008.Then, it could easily expand budget outlays, with the 2008 budget roughly balanced if oil was at about $60-$65/bbl.Now the estimate is that Russia needs oil to stay well above $100 to keep the budget in some semblance of balance.It is currently there, as it has been all year, but a serious meltdown in Europe or dive into recession in the US will see it fall, which will bring Russia back to the budget deficit problem it largely avoided through the strong rebound in crude prices through 2010, and as was seen in crude’s dizzying descent from $147 to $35 per barrel in 2008, prices can move quickly. 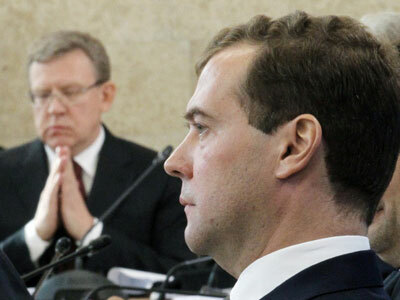 In this context having Shuvalov onside to help maintain what spending discipline can be maintained will be more than useful.With currency reserves of more than $500 billion, and with the reserve funds likely to contain as much as $140 billion, Russia’s position as the global economy negotiates its European Scylla and U.S. Charybdis moment, is something that many other nations would only dream of.But for the foreseeable future the potential threats he will have to deal with are immense, and it is going to be a rough ride for the new Minister.